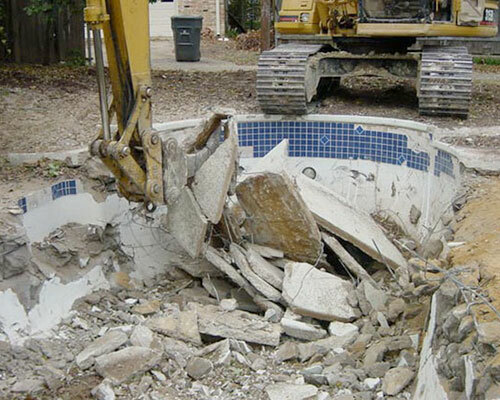 Whether you’ve outgrown your pool or your pool is no longer worth the maintenance investment , Remove a Pool is ready to provide you with the pool removal and demolition services that you need at a rate that you can afford. 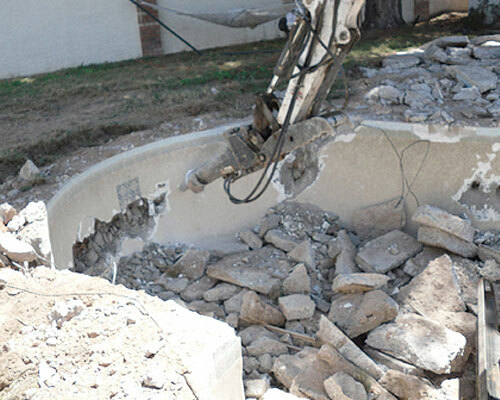 Reduce the worry of liability issues and hazardous conditions with professional National pool demolition services to remove that old pool safely and efficiently. Is it time to remove the old pool in your backyard? Are you ready for more space in your backyard to entertain guests during backyard barbecues? Have the kids grown up and you no longer have use for the family pool? Has that old pool in your backyard been sitting there no longer in-use just waiting to become a liability issue? These are just a few of the reasons people from California to Texas to Virginia and Maryland inquire about the pool removal services from Remove a Pool. If you can’t even remember the last time that you used the family pool, you’re tired of the liability worry, or if you just have no desire to keep up with the pool’s required maintenance needs any longer, it’s time for professional pool removal. 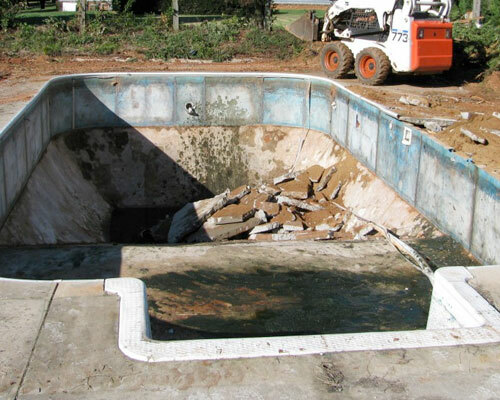 How does pool removal and pool demolition work? Remove a Pool has the capabilities of removing both in-ground pools and above ground pools. The very first step before getting started with the actual removal of the pool is to obtain necessary demolition permits. This is a step that can be stressful to homeowners and that’s why we’re proud to handle this step for our customers, too. During the pool removal process, you can expect us to remove any and all existing water inside of your pool safely and professionally. We’ll then perform an expert, comprehensive demolition of the pool. Upon completion of a safe demolition, our team of professionals will remove all debris from the space and from your backyard. And Remove a Pool doesn’t stop there. If you would like, we’ll also prep the area for fresh grass. This is an additional service that many of our customers nationwide opt to do upon completion of demolition.